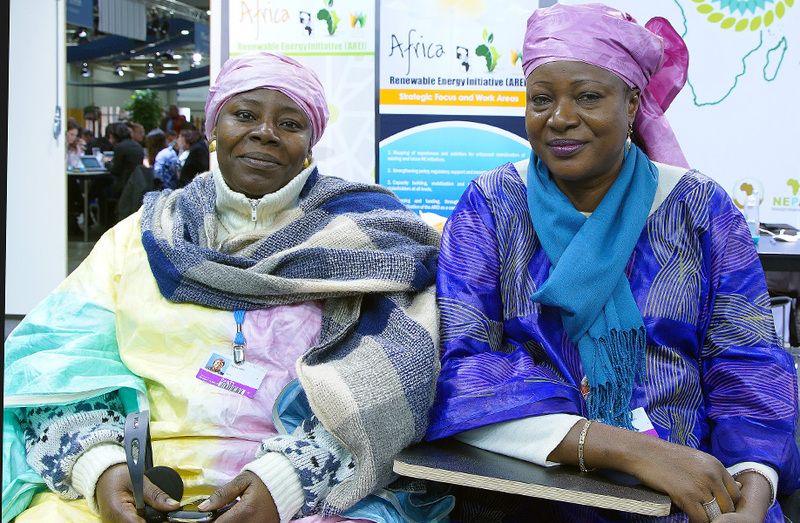 Ampaire Yvette, Executive Director, African Women Initiative on Climate Change, on Friday at the conclusion of events in the Africa Pavilion at COP 21. 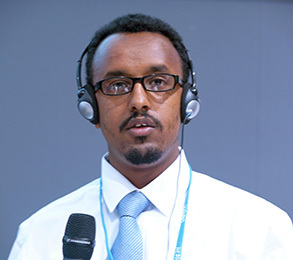 Nahom Zeleke, Co-founder, Addis Sustainable Life, Inc.
Abuy Shimelis, Co-founder, Addis Sustainable Life, Inc. 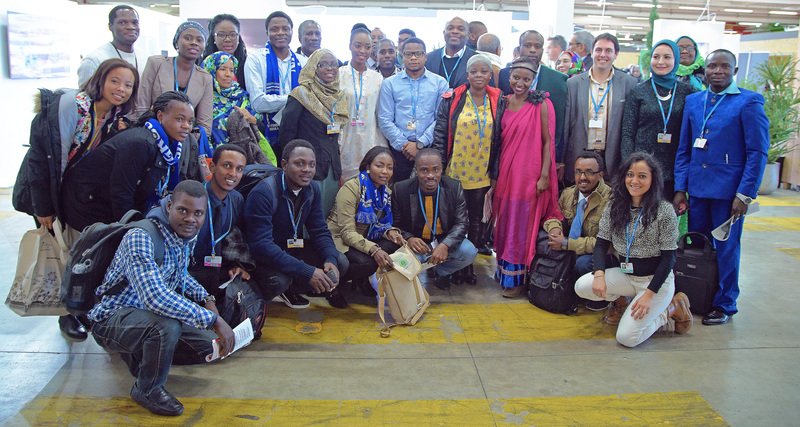 This session focused on the role of African youth on climate change issues in Africa, and showcased the African ClimDev Youth Platform (ACLYP). 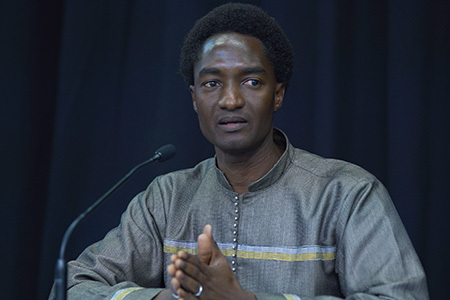 James Murombedzi, Senior Climate Governance Expert, UNECA, introduced the session and invited members of the ACLYP to share the work they’ve been doing. 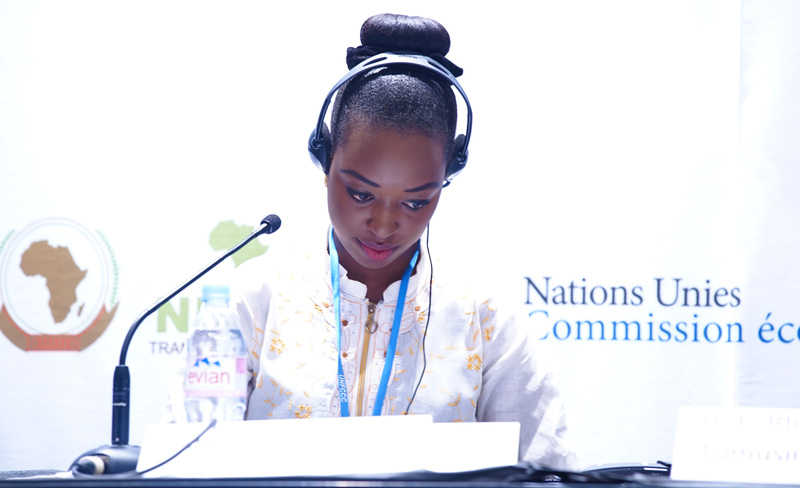 Ibrahim Ceesay, Co-coordinator, AYICC, noted the importance of youth in making progress for the future of the planet and its people. 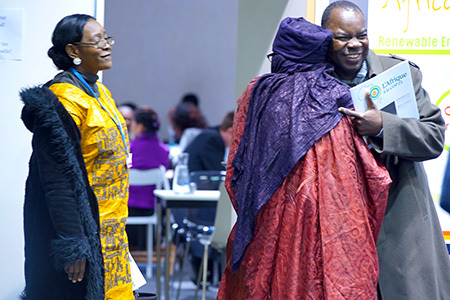 He outlined the various international meetings that ACLYP members have participated in, including the Third World Conference on Disaster Risk Reduction in Sendai, Japan, the UN Sustainable Development Summit held in New York in September 2015 and now UNFCCC COP 21 in Paris. 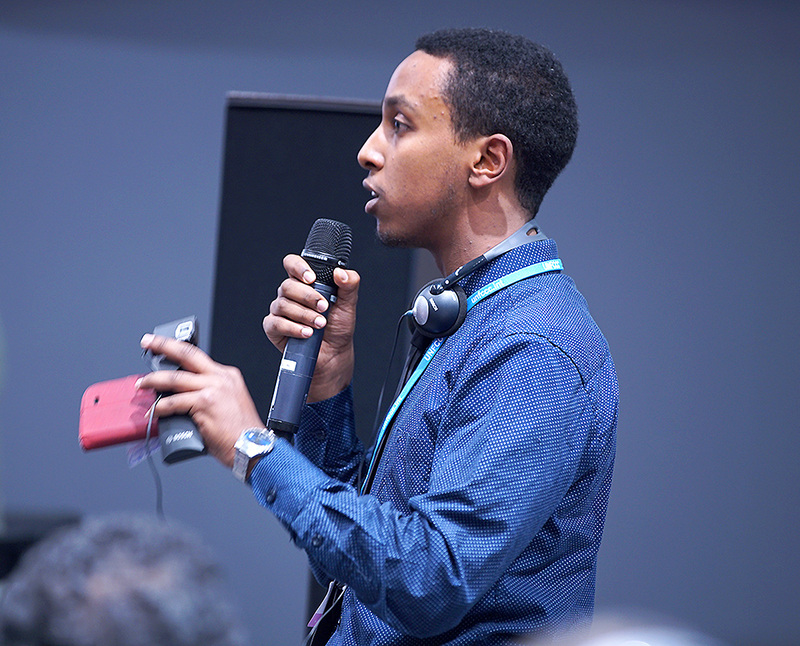 Nahom Zeleke, Co-founder, Addis Sustainable Life, Inc., talked about the draft position that African youth developed for COP 21 working with the Horn of Africa Regional Environment Centre and Network. 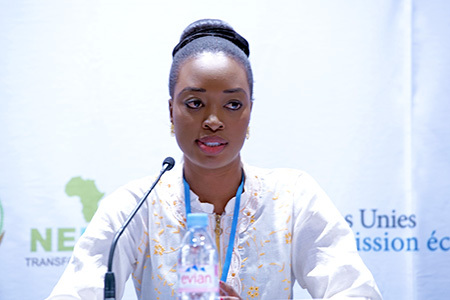 Ampaire Yvette, Executive Director, African Women Initiative on Climate Change, discussed youth involvement in the Africa Climate Talks that took place in Dar Es Salaam in November and noted youth were able to actively participate in high level panels. 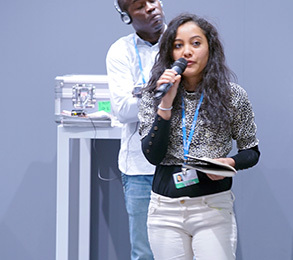 Nahom Zeleke said the ACLYP is important for bringing youth “from the sideline to the frontline.” Following these introductory presentations, Ibrahim Ceesay screened a short video that elucidated the demands of African youth at COP 21 including the need for a legally binding agreement and for climate justice. 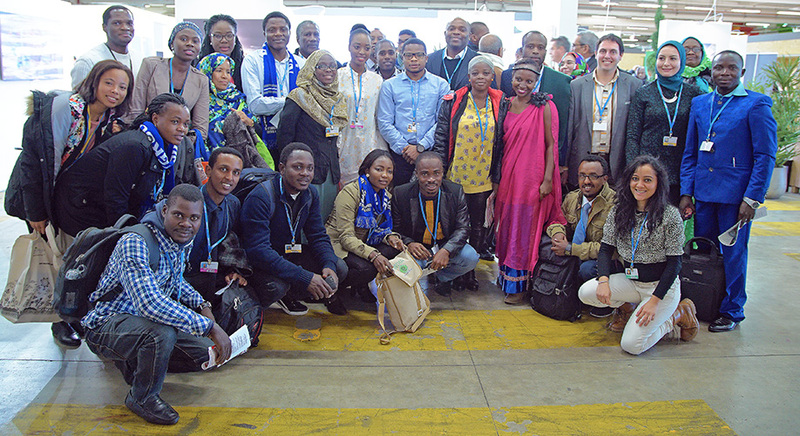 Fatoumatta Ndure, Head of Secretariat, AYICC, said that African youth have proven their potential in promoting and implementing climate change projects and policies. 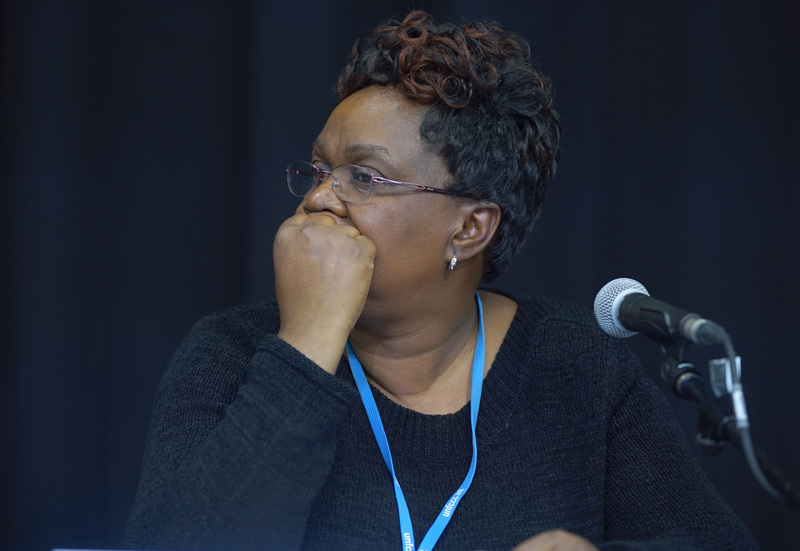 She lamented that youth are often locked out of decision making processes. 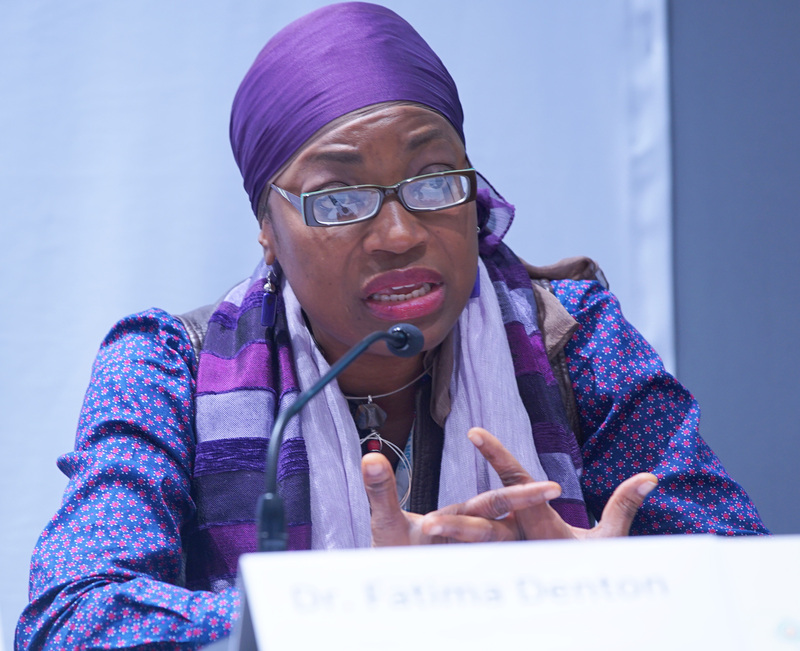 Fatima Denton, Director, Special Initiatives Division, UNECA, said it is essential to “kill the narrative of negativity” around youth. 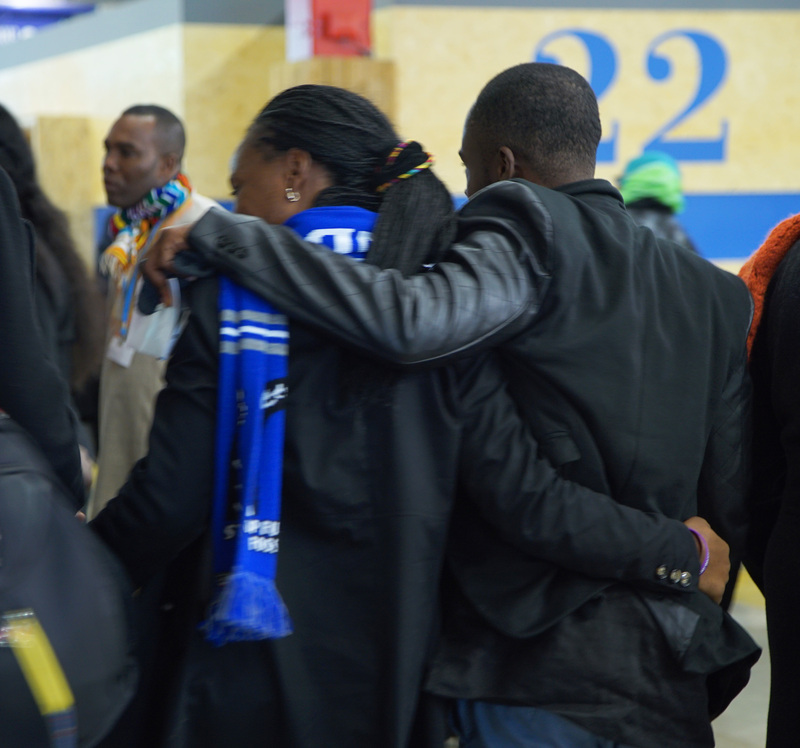 Given current demographic trends, she said, African youth are poised to become the custodians of the world. 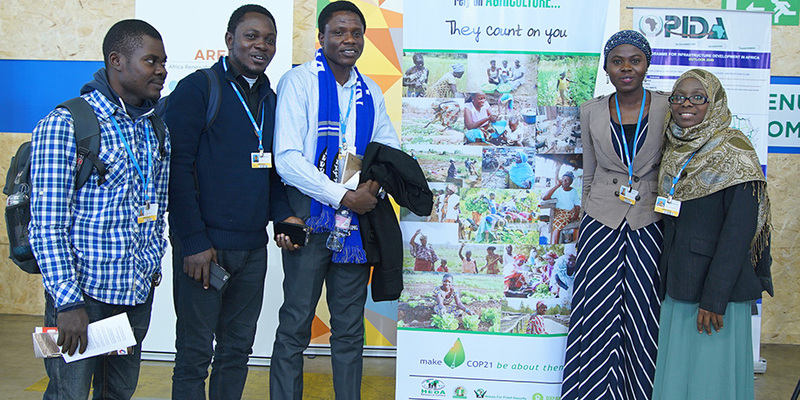 She said it is important that youth are not limited to advocacy but that they engage with opportunities in the energy, agriculture and forestry sectors for sustainable development. 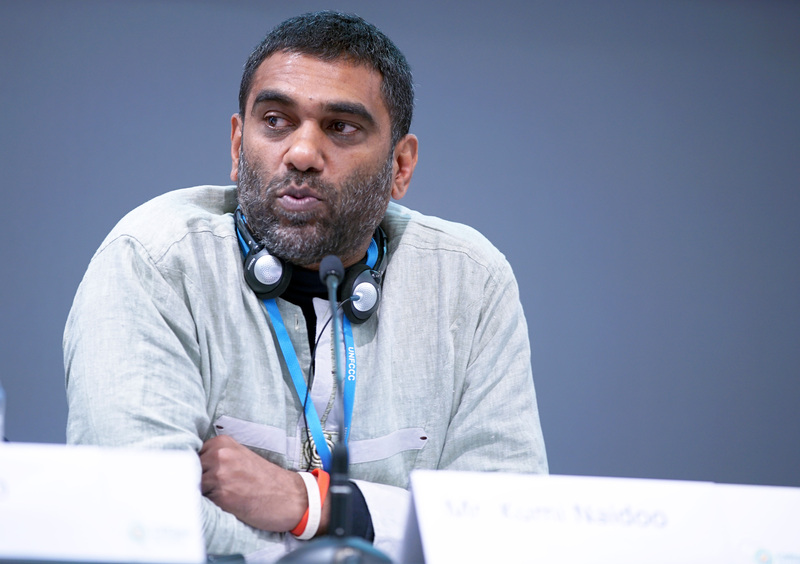 Kumi Naidoo, Executive Director, Greenpeace International, called for and end to the disastrous, negative language that is used to describe Africa in global spaces by outsiders. He said it is essential to bring down the age profile of governing institutions so that young people move into leadership roles immediately. 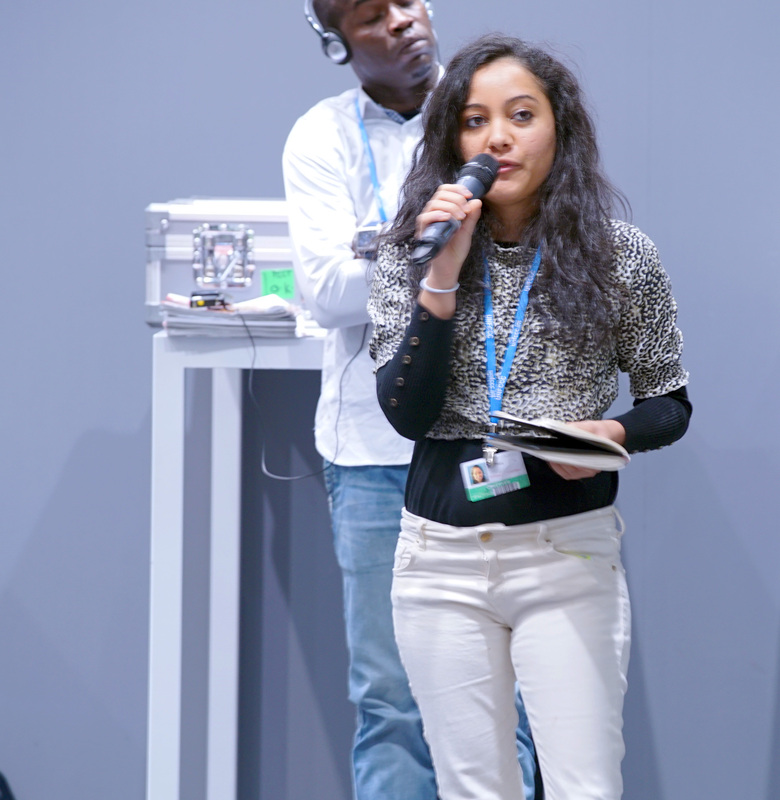 Sena Alouka, Young Volunteers for Environment, Togo, talked about the rapid development of youth platforms in Africa since 2005 and how they serve as an example for youth movements worldwide. 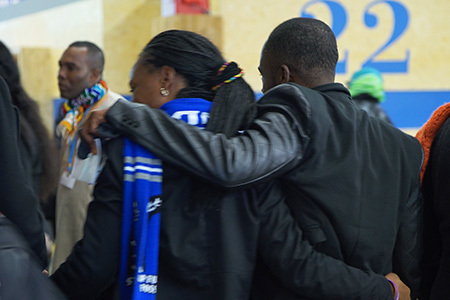 He said the best actions and interventions happen in places where youth take the lead. He noted that even small investments have tremendous impact when given to youth organizations working on environmental issues. Alieu K. Jammeh, Minister of Youth and Sports, The Gambia, said the realities of climate change are already being experienced in Africa. 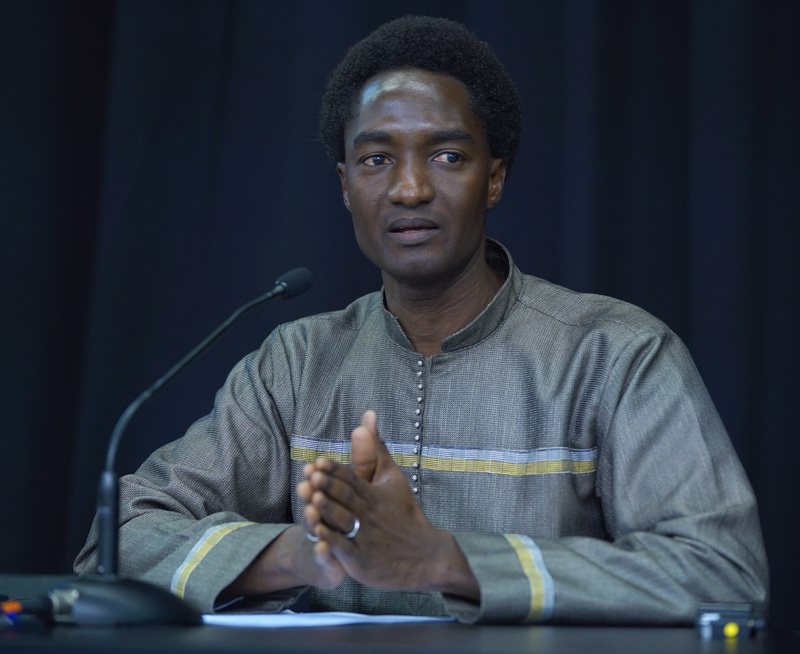 He said that The Gambia has put in place a new government program to address the triple challenges of youth unemployment, climate change and food security. 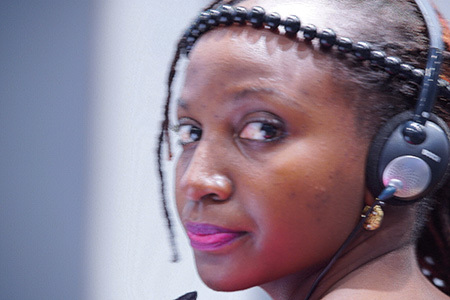 Tumusiime Rhoda Peace, Commissioner for Rural Economy and Agriculture, African Union Commission (AUC), said the AUC’s 2063 Agenda prioritizes young people because they are of strategic importance for the development of the African continent. 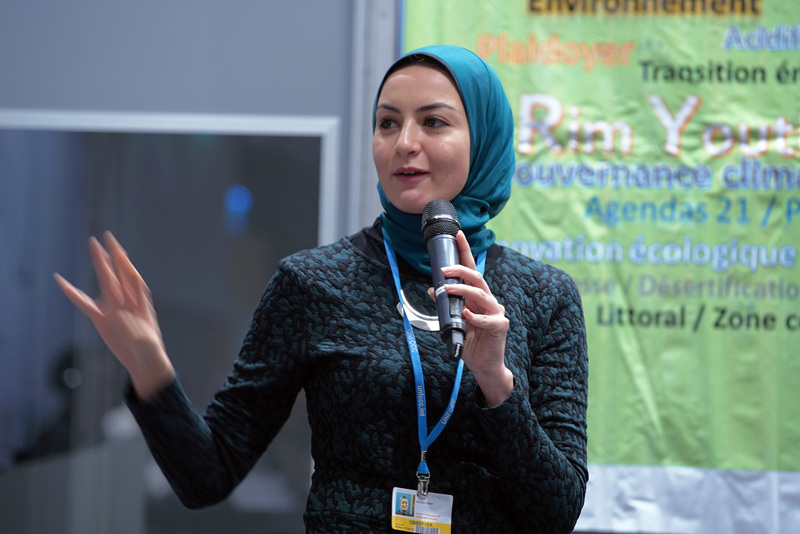 She underscored the need to empower young people through supportive leadership that includes youth in policies, strategies and budgets. 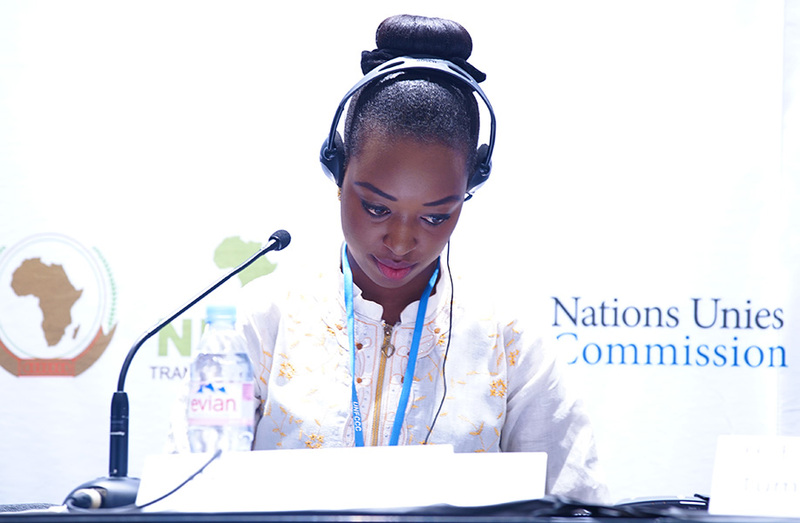 Youth from the audience spoke about: the need for a specific climate fund for youth; the green economy and low carbon development; youth leadership in small island developing states; and corporate exploitation in Africa, among others. This event discussed agroforestry and the REDD+ programme (reduced emissions from deforestation and forest degradation, conservation of existing forest carbon stocks, sustainable forest management and enhancement of forest carbon stocks) in Africa and was moderated by Lalisa Duguma, Scientist, ICRAF. 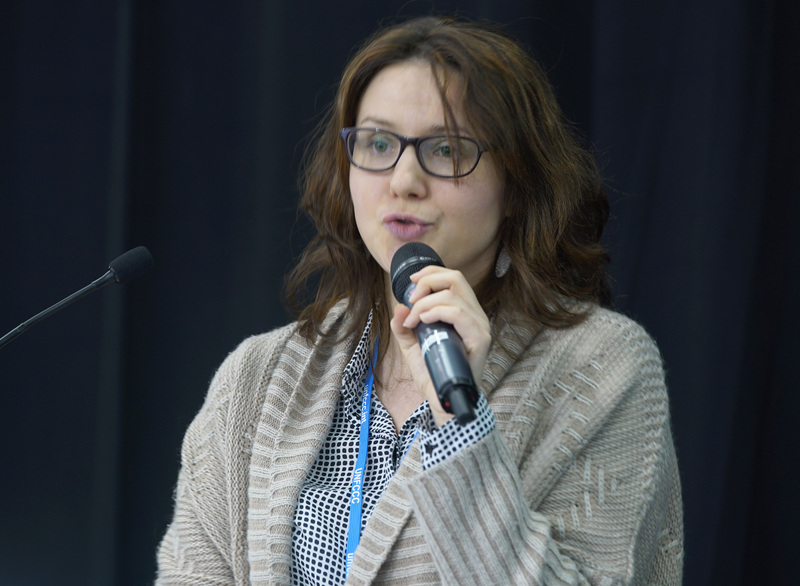 Larisa Duguma, highlighted examples of agroforestry projects in Africa. 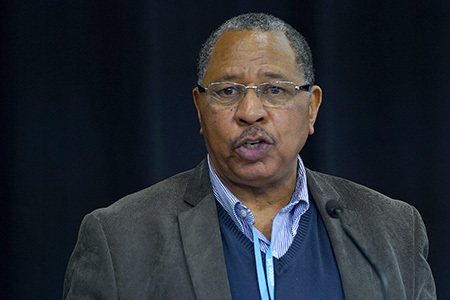 He noted that green fertilizers can boost food security by increasing yield up to 1.6 tons per hectare and that there is a need to encourage farmers to have 10% tree cover on their farms to help prevent erosion and sustainably generate biomass for fuel. 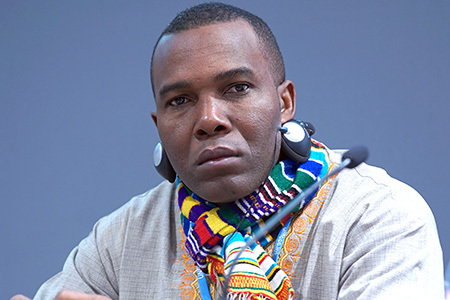 He outlined concerns about property rights and land tenure and noted the example of Cameroon where farmers can grow trees but need permission from the government to cut them down. 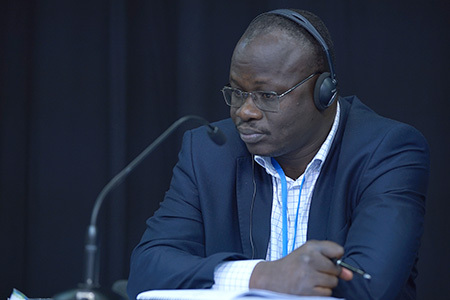 He argued for diversification to reduce risk to farmers but said it is still a challenge to provide different investment options and secure seed capital for agroforestry projects. Florence Bernard, Associate Scientist, ICRAF, described an agroforestry project in the Democratic Republic of Congo (DRC). 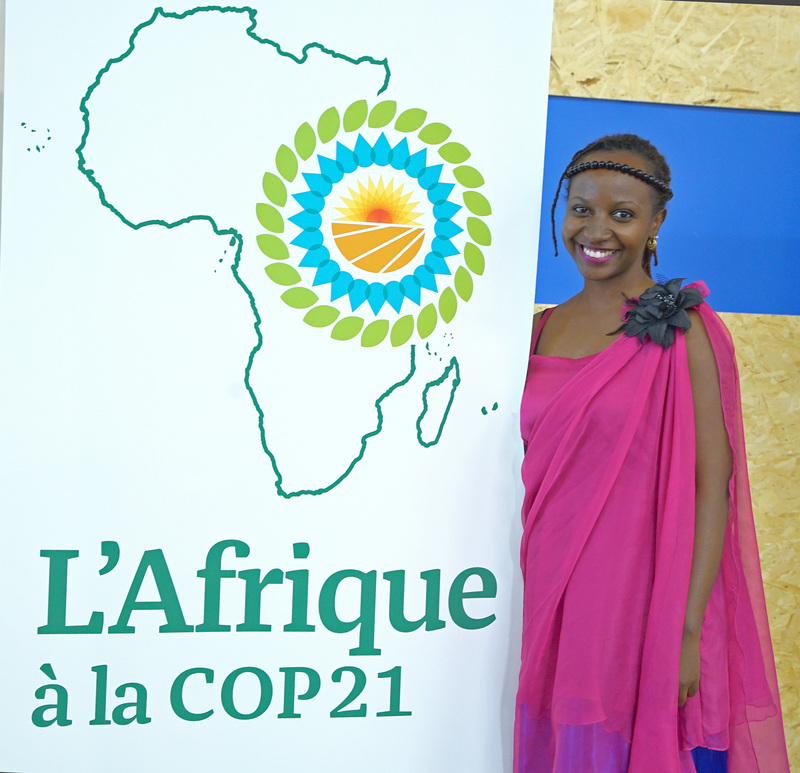 She said the DRC has identified agroforestry as one way to address climate change and improve livelihoods through REDD+. 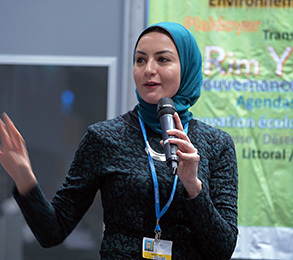 She outlined the potential for smallholder farmers to use agroforestry systems to sequester carbon, generate income and produce energy. 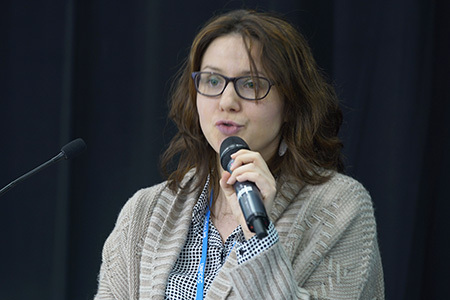 She said the sale of safou fruit has generated “by far” the largest profit in the project and that honey and intercrops provide significant contributions but at a much lower scale. 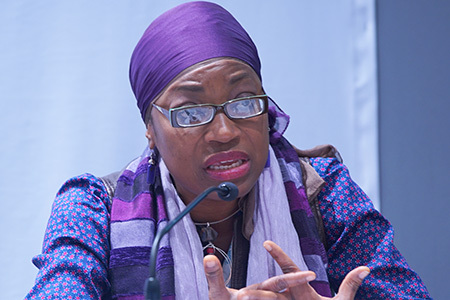 She said diversified agroforestry projects address all REDD+ areas including climate change mitigation, poverty reduction and reduced deforestation. 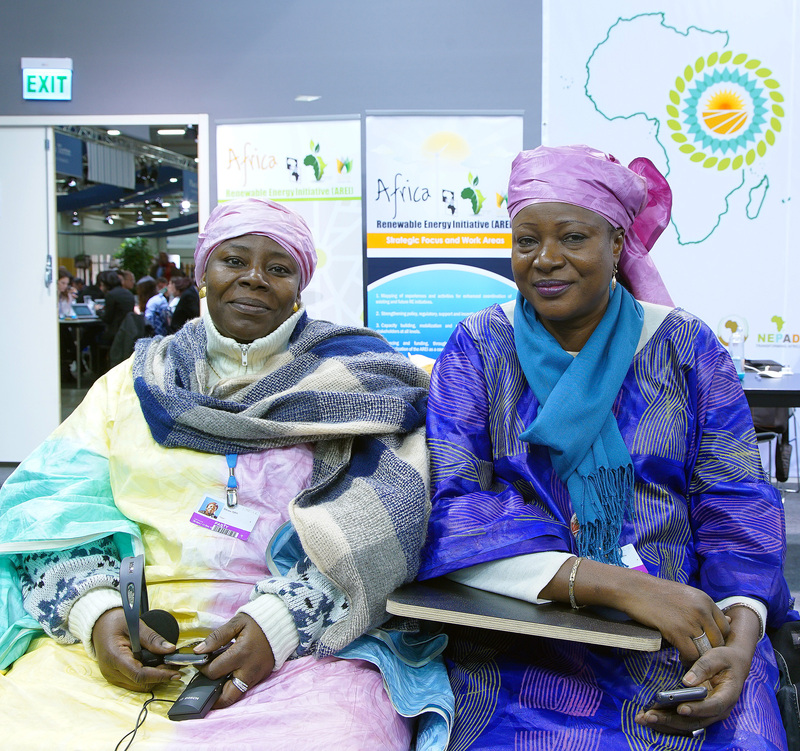 From a technical standpoint, she said, agroforestry can be included in a REDD+ framework in DRC although barriers still remain. Endeshaw Kassa, Program Officer, EECMY-NCES-DASSC-BO, spoke about the Lighthouse Project that addresses land use transformation on hillside farms in the Amhara state of Ethiopia. 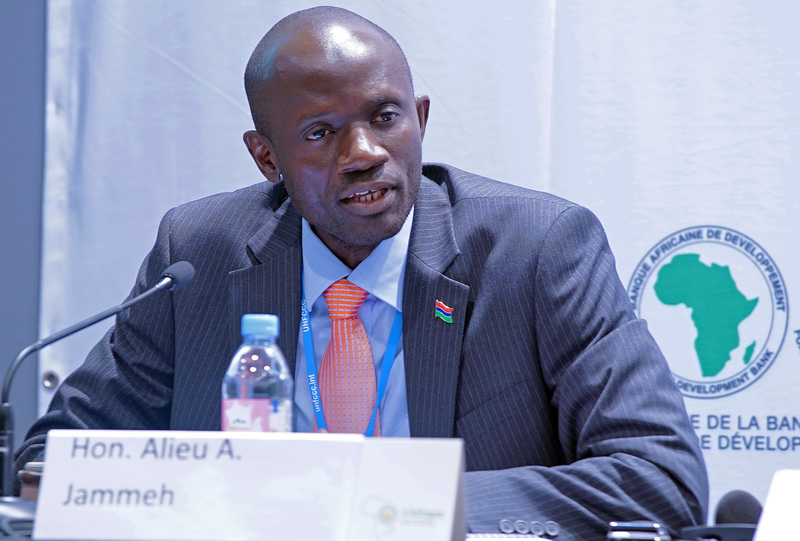 He called it an innovative climate change adaption and mitigation project based on comprehensive risk assessments. 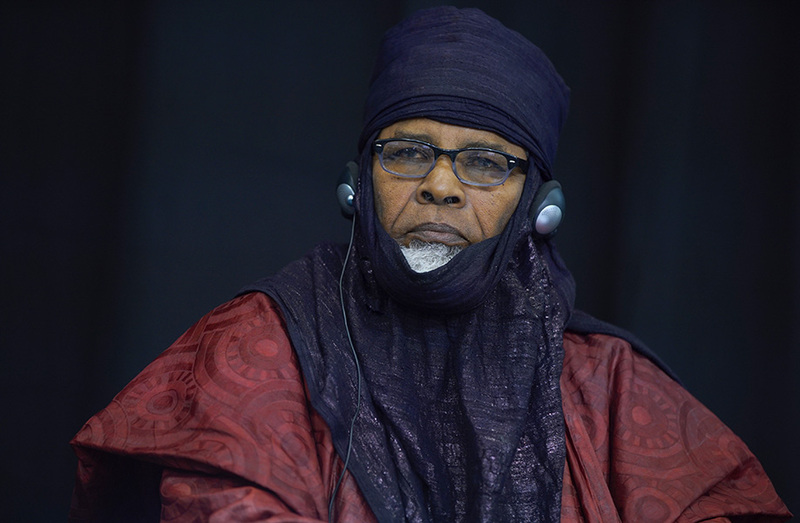 He said land transformation was chosen because other approaches had not worked. 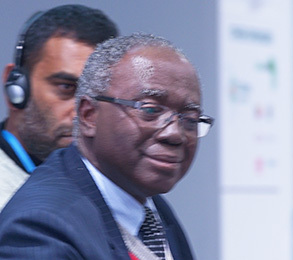 He noted that the project promoted land use transformation through a temporary compensation mechanism with ten beneficiaries and resulted in, inter alia: better quality physical structures; “incredible” survival and performance rates of seedlings; control of runoff from erosion; a better sense of ownership; and increased income diversification. 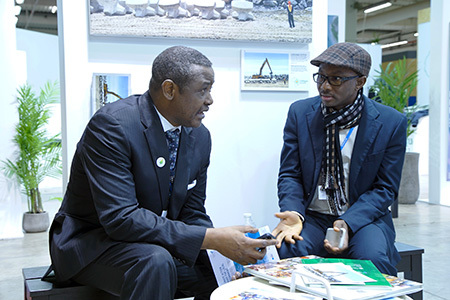 He outlined the challenge of acquiring further financial support to scale up the project. 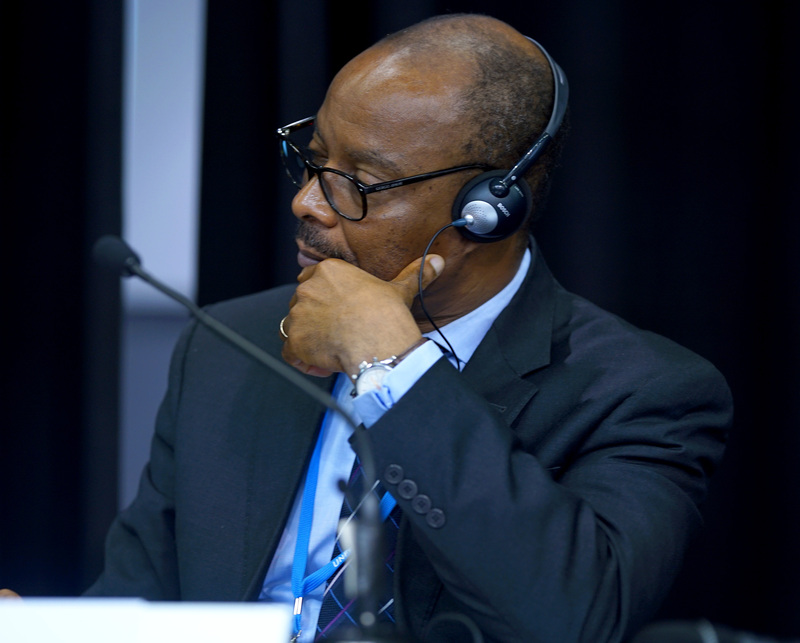 Johnson Nkem, African Climate Policy Center, AUC, said agroforestry is cost effective and has multiple benefits such as carbon storage but that not enough delegates at COP 21 consider it to be a solution. 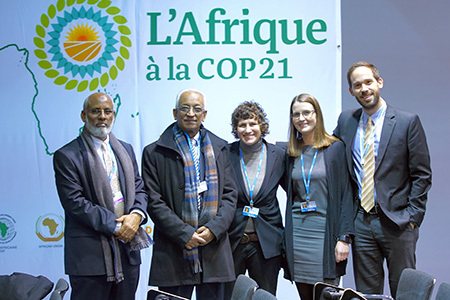 He noted that the Intended Nationally Determined Contributions (INDCs) are an opportunity to prioritize forests. 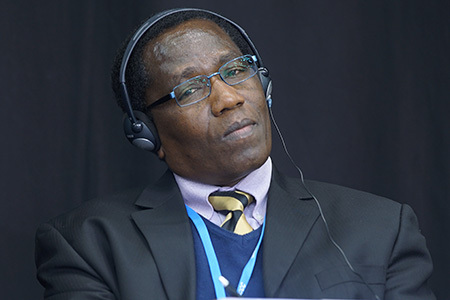 Stephen King’uyu, Coordinator, National Climate Change Action Plan, Ministry of Environment, Water and Natural Resources, Kenya, said there was no mention of agroforestry in the latest COP 21 negotiation text, but that the important thing is to go back to “our own countries” to operationalize the Paris outcome in a way that makes sense in the national context. 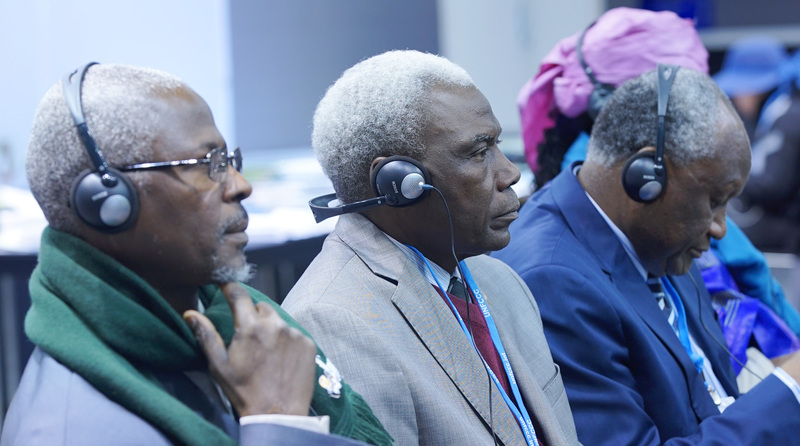 He highlighted the fact that international agreements are not legally binding in the same way as national legislation and that there is a need to investigate and fill gaps in national frameworks with regards to agroforestry. He noted that agroforestry is especially relevant because it provides climate change adaptation with the mitigation co-benefits. 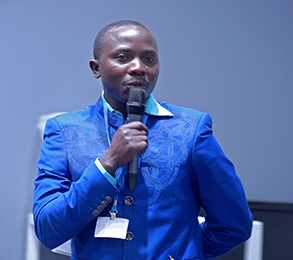 Emmanuel Nuesiri, Researcher, University of Illinois, said there is no doubt that agroforestry has an important role to play and that it is now necessary to incentivize decision makers to create agroforestry policies and projects. He outlined the incredible difficulty of resolving land tenure issues in Africa due the legacy of colonialism, cultural heritage and government power but that there are innovative things that can be done. 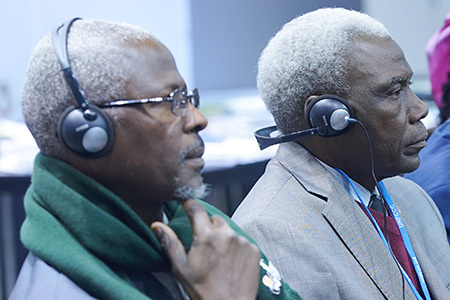 He noted the need for research institutions such as ICRAF to engage policymakers and create relationships with national REDD+ and climate change focal points in order to provide input on issues before decisions and argue for the inclusion of agroforestry. Questions from the audience ensued on, amongst other things: the capacity of smallholder farmers to live with the forest and not of the forest; information sharing with farmers; and sensitizing farmers to diversification. 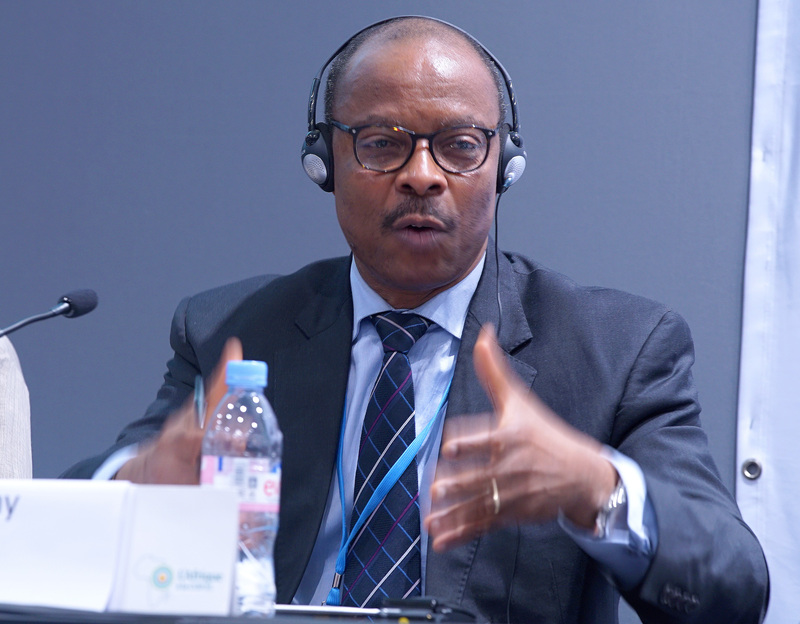 This session focused on climate change and the SDGs in Africa and was moderated by Anthony Nyong, Manager, Compliance and Safeguards Division, AfDB, who opened by saying there are great opportunities and challenges for linking the SDGs and the climate change agendas. 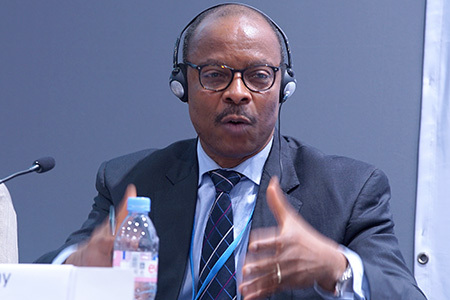 Al-Hamndou Dorsouma, Chief Climate Change Officer, AfDB, said the SDGs are not new because sustainable development has been discussed since the 1992 UN Conference on Environment and Development. 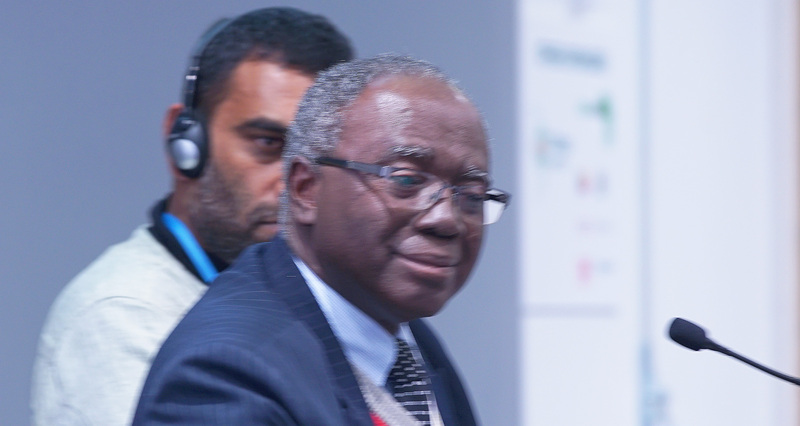 He said the link between climate change and the SDGs is already well established and the challenge is how the link will be translated practically. He said plans for sustainable development that don’t account for climate change will not succeed. 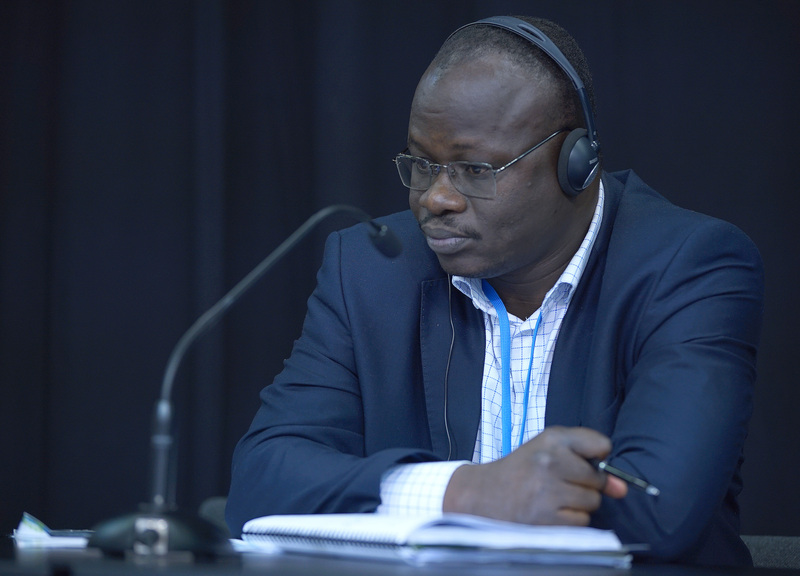 Moustapha Kamal Gueye, Senior Specialist, Green Jobs Policies, ILO, said for people to get out of poverty they need employment. He said the challenge for Africa is to create a large number of quality jobs that bring productive employment. He argued that “once you create jobs everything else will follow” but that the gains from jobs will not come by default and therefore there is a need for appropriate government policies. 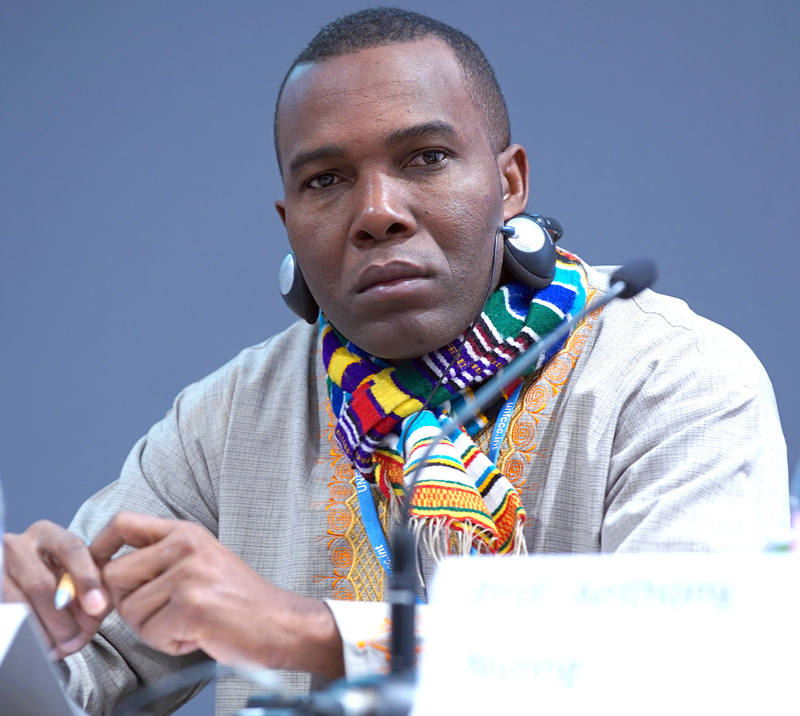 Most people in the world lack social protections, he said, and without a safety net for employees Africa faces serious risks and economies will not be able to increase resilience. 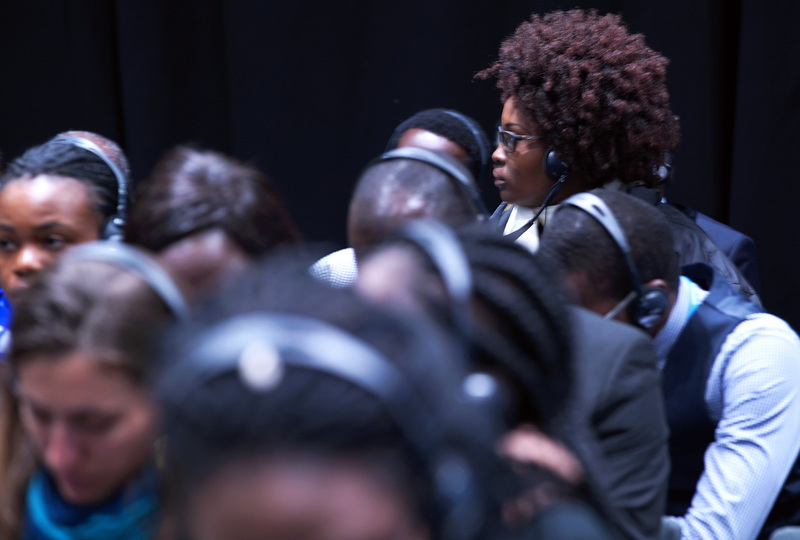 He said job creation in Africa will not come primarily from governments but rather from self employment and therefore Africans need support for business development. 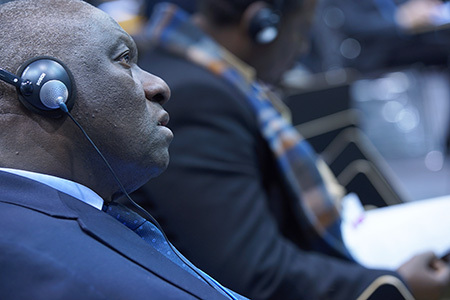 He concluded by underscoring the strong spirit of entrepreneurship and innovation in Africa that can be harnessed through the implementation of supportive policies. 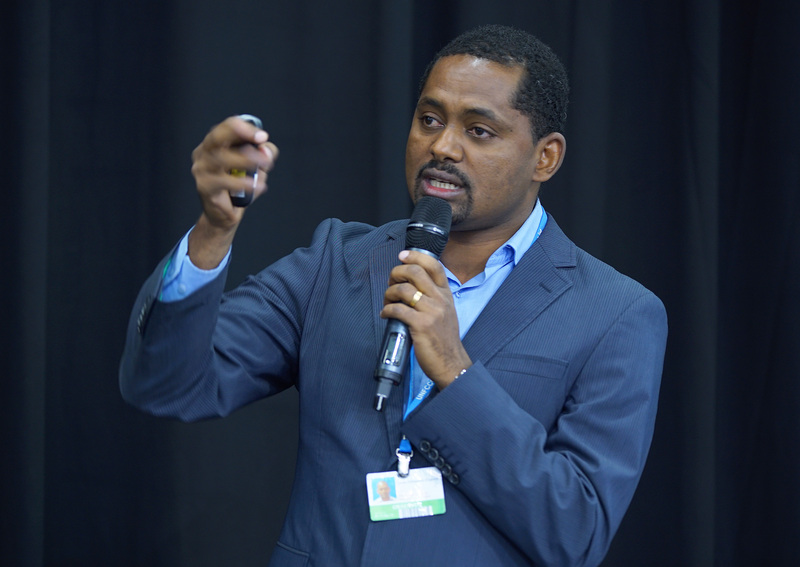 Moussa Abou, Architect, Niger, presented the Abou Green Building Technology System, which only uses local materials and yet performs just as well as industrial matter. This is useful, he said, because it avoids the need for wood as Niger has no forests. He also noted that construction requires only hand labor and very few tools or equipment and is therefore ideal for youth who lack experience. 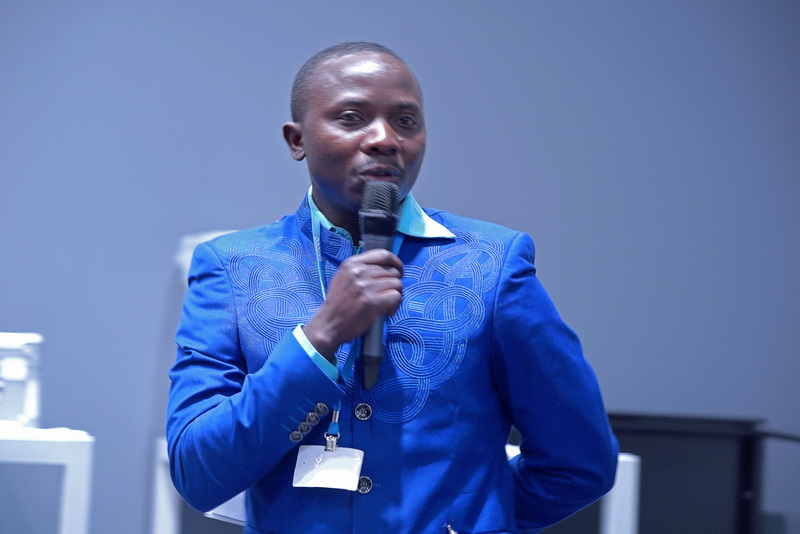 He argued that the technology is relevant to all of the SDGs. Youba Sokona, Special Advisor, Sustainable Development, South Centre, and Co-chair, IPCC Working Group III, outlined key messages from IPCC’s Fifth Assessment Report and said the window for action on climate change is rapidly closing. 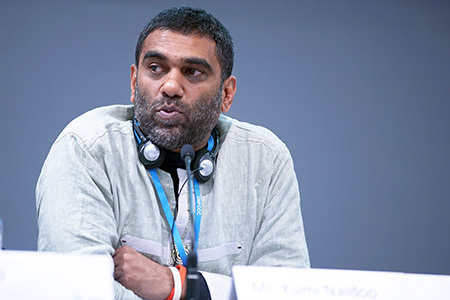 He said a new direction is urgently needed, that the SDGs are a unique opportunity and that climate change and development are interlinked. 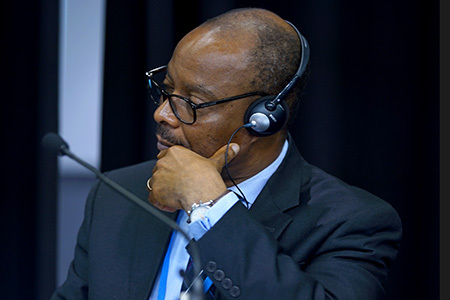 He argued that it is necessary for Africa to have a “development first” strategy by exploring existing development initiatives that are climate resilient and environmentally friendly. 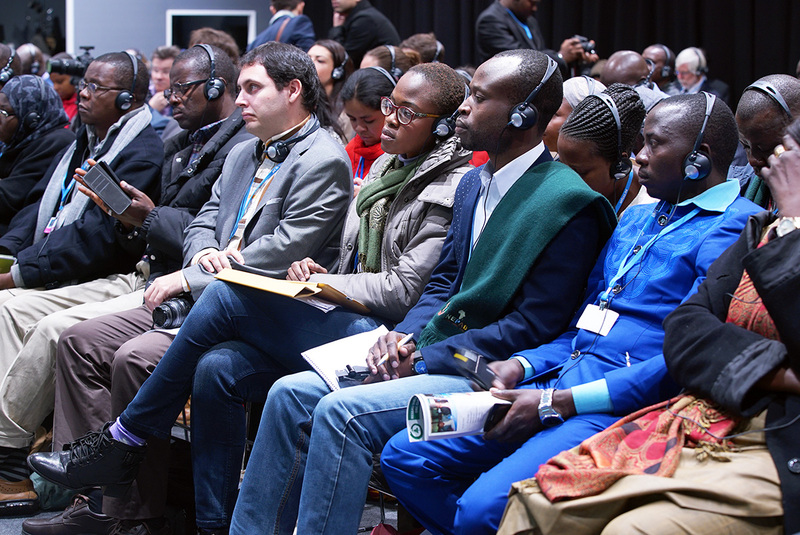 Discussions ensued on: the need for good governance in Africa; how to finance and scale up proven technologies; and financing for the realization of the SDGs. 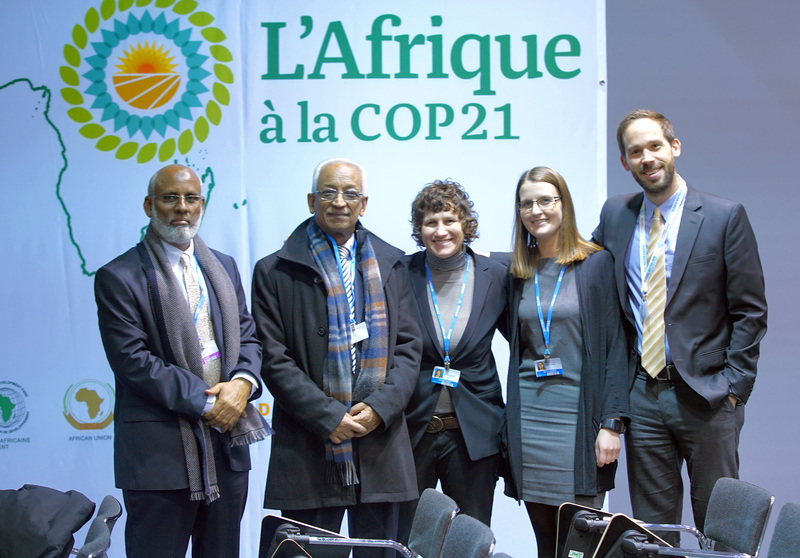 Abdi Ahmed Mohamed, National Resilience Focal Point, Office of the Prime Minister, Somalia and Buri M. Hamza, Minister of State for Environment, Somalia, pose with the IISD Reporting Services team covering the Africa Pavilion at COP 21: Liz Rubin, Dina Hestad and Brett Wertz.